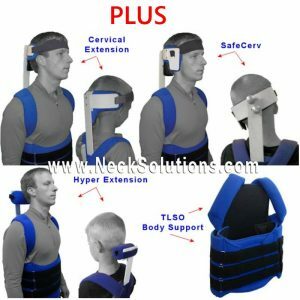 If there is excessive downward head drop or for those who have muscle contractions pulling the head down, the headmaster collar anterior support is an add on accessory that provides solutions for these problems. 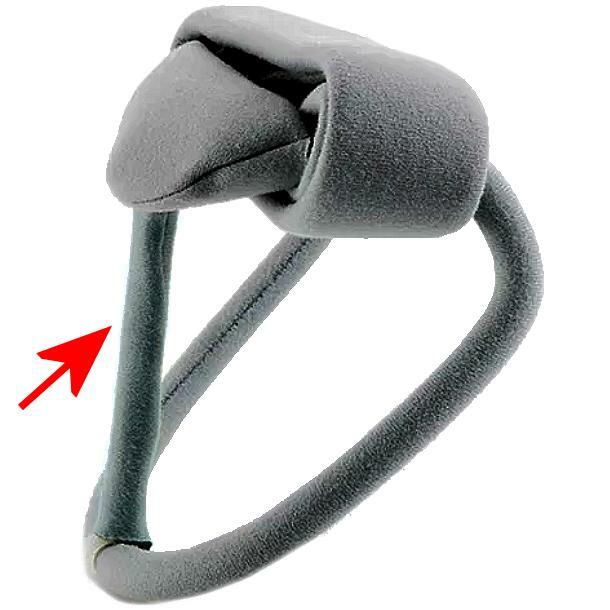 It greatly stiffens the front of the collar. Because it makes the front of the collar much more rigid, it is recommended that it is removed for transportation in a vehicle. It attaches with C- clamps, therefore it is not difficult to remove and re-attach. 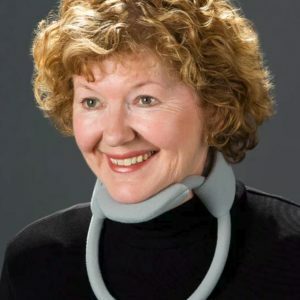 Stiffening the front of the collar with the anterior support will provide needed support for those in whom the chin portion fails to maintain the head upright. The addition of this support does come at a cost to the user. In general, the more support required, the less comfortable. 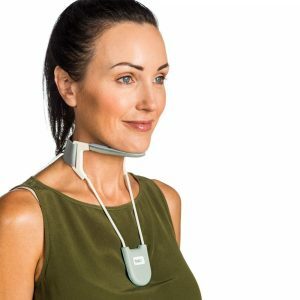 The collar has a natural spring that makes speaking and eating easier. With the addition of the anterior support, this springiness is lost at the chin part, therefore, modifying the function of the collar. The support comes in three parts; the chin pad which has a hole to accept the top pert of the tube (assembled), the tube that attaches to the chest part, and the cloth cover for the tube. The larger tube must be cut to fit. A good rule is to measure twice and cut once. The measurement should be taken after the collar has been adjusted to the appropriate height. The portion of the long tube should be cut with a large, sharp scissors and not sawed or cut with a knife. The cloth cover is then placed over the tube, then the larger tube slides into the shorter tube with the chin pad. 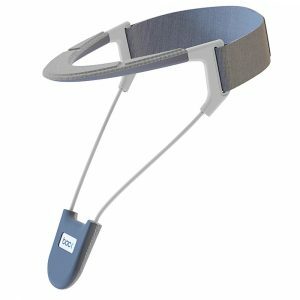 The support is then attached to the chin bar and chest bar using the C-clamps. Adjust the cloth cover and you are done. The most important parts are measuring for the correct height and cutting with a sharp scissors. 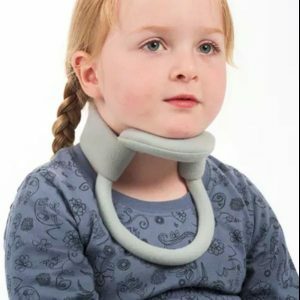 The headmaster collar anterior support comes in three sizes and is fitted to the size of the collar: Large/Medium, Small/Junior & Child/Infant. 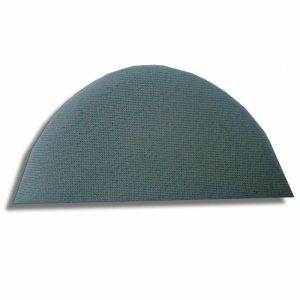 It is available in colors to match the collar: Beige, Black, or Gray. 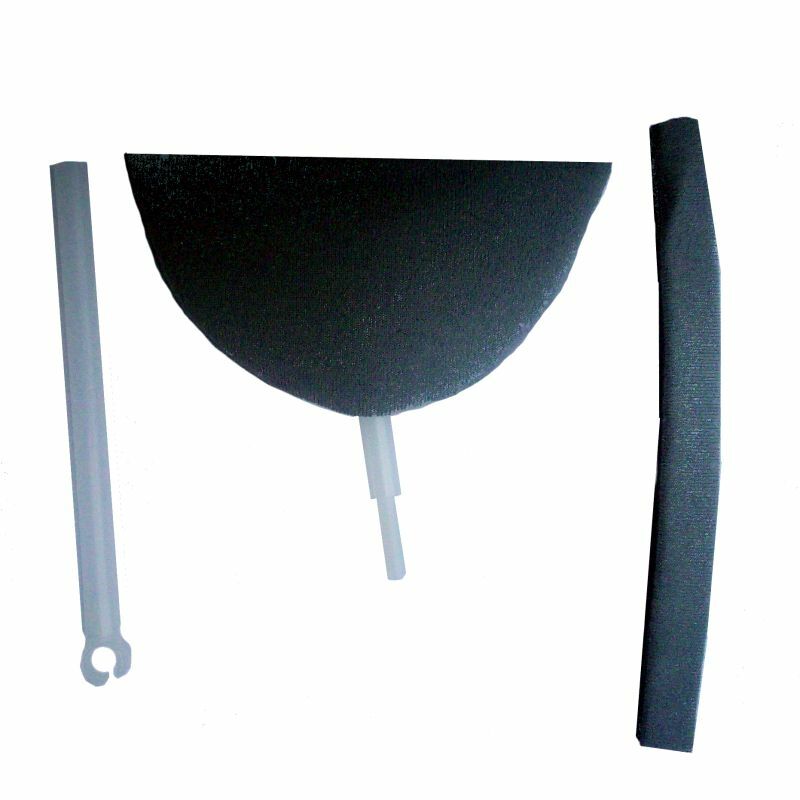 The chin pad that comes with the collar should be kept for transporting, when the support is removed. You can also place it on the end of the chest piece for added cushioning.